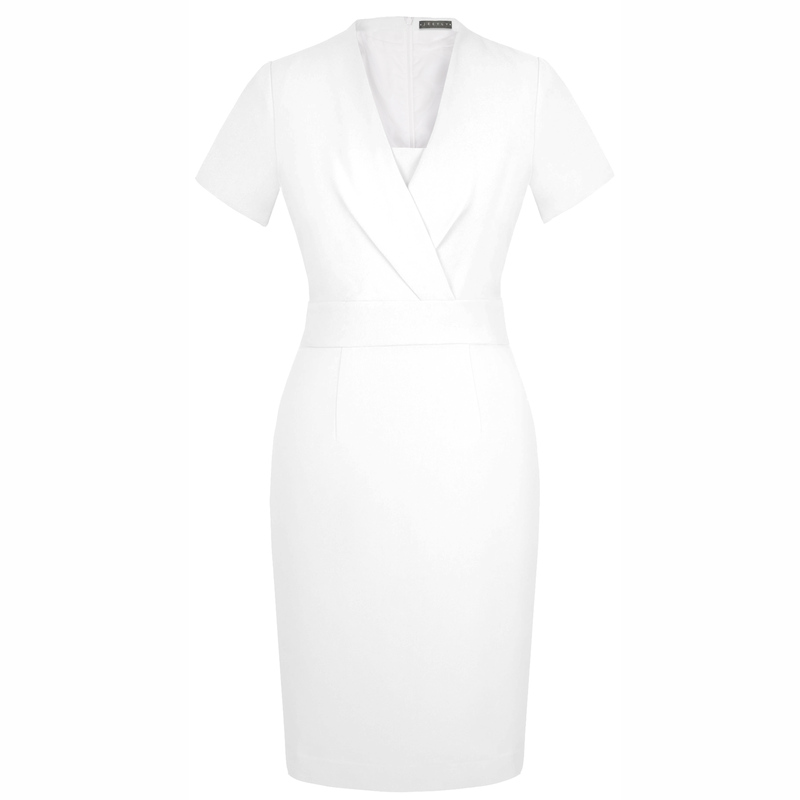 An elegant petite pencil dress with a flattering cross-over neckline, defined waist and short sleeves. 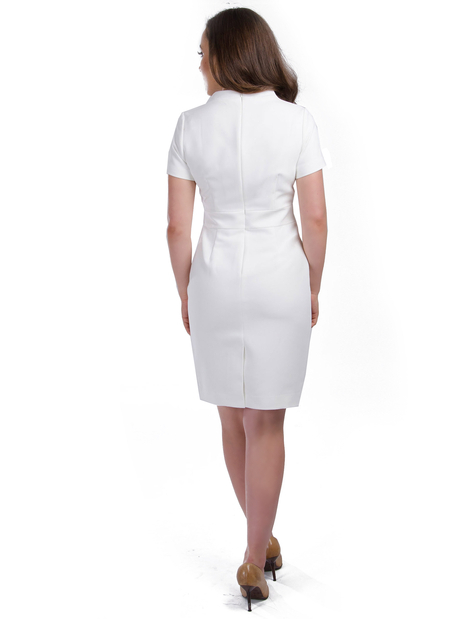 In stylish white, this dress features a slim waistband to accentuate the petite figure, with a slit vent and concealed zip fastening to the back. This form-flattering dress is a perfect boardroom to bar number. Did we forget to mention it has stretch lining too? 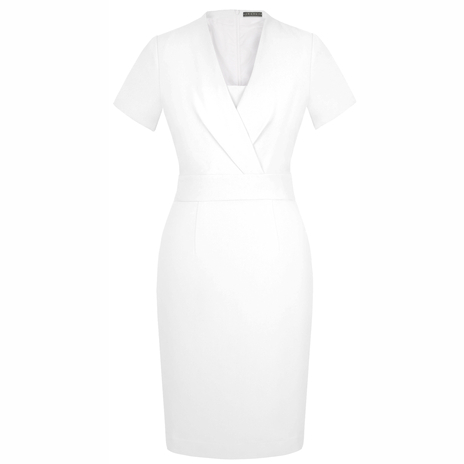 A celebrity and stylist favourite on the red carpet, white is so versatile, you can wear it with any colour of heel or accessory in your wardrobe. If it's too risky to wear at work, this is your perfect event dress, be it an office party or client dinner. If you want to keep it safe and ultra chic at the same time, wear with a black belt, black courts and the Celine jacket.